Welcome to Wendy Wei Tours! ​Wendy Wei Tours specializes in providing high-quality, authentic private tour experiences in Southern China...and we proudly never force or even encourage you to go to shopping stops. No group tour exceptions, no forced shopping, no commission stops or hidden costs, no hassles. We are a locally based operator in Guilin, Guangxi Province. Our team is a highly-dedicated mixture of guides, drivers and internal office staff so from your first inquiry through until your departure - you can be assured that you have people available to you. ​More importantly, we are not a large agency like most of the operators in China - we care about you, your visit and your time with us. You're not a booking reference number but a highly valued prospective client whom we hope to have the opportunity to tour with during your time in China! 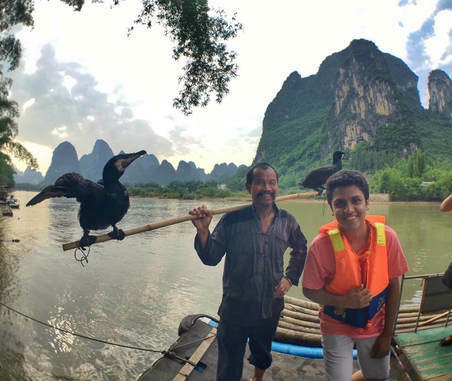 T﻿he concept of Wendy Wei Tours actually started in the summer of 2005 when I first began guiding visitors who were traveling to Guilin. I was a trainee tour guide but quickly learnt two very important things. During this time, whilst guiding for various different agencies, I felt sorry for these clients who were directly expressing to me their feelings of wanting to do something different to what was available. 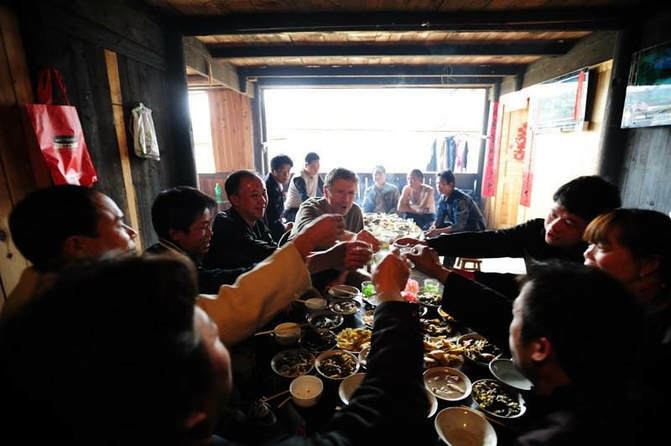 They were longing to taste local cuisine, have firsthand encounters with locals outside of the tourism industry and visit off the beaten track places but were unable to due to the language barrier and fact that no other agencies offered these types of unique. I raised these points to various managers of the different agencies I was working for, assuming they'd be interested in exploring the opportunities to offer unique type of tours to differentiate themselves from every single other agency. To my shock, they completely dismissed the idea and not only advised that all visitors were happy with the same tour routes they proposed but mentioned it wouldn't be as financially rewarding. ​​A few years later, after receiving encouragement from a number of visitors (thank you! ), I made the big decision to quit. I thought to myself that non-forced shopping tours would also suit me as I'm not actually good at selling and didn't feel comfortable with the whole commission/forced shopping model employed across the industry. 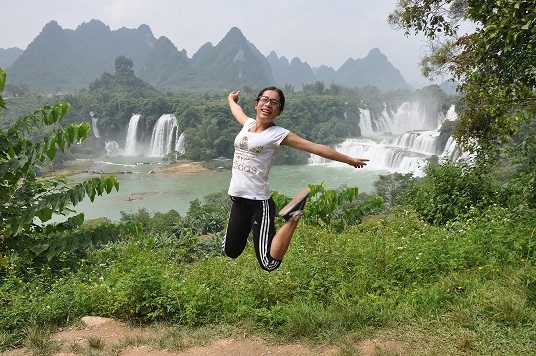 Thereafter, I listed my details on a guiding website and went completely freelance until the opportunity became available to start 'Wendy Wei Tours' under the Tianli International Travel Service tour company license. All Wendy Wei Tours are proudly without any forced shopping stops or other unscrupulous practices - no 'group tour exceptions', 'ifs', 'buts' or 'excuses'! Wendy, from our first email through until our departure, it was a pleasure dealing with you. Both Don and I have travelled to China together on nine different occasions since the first time in 1990 and working with you was by far, the best experience. Visitors don't want to travel with large agencies so what you offer is unique, exclusive and very different. Keep doing what you're doing and you have a very prosperous future ahead of you. Best wishes. We fully understand that each prospective client has different interests and requirements. After discussing your initial requirements, we strive to provide an itinerary that actually reflects your specific feedback and not just a generic template itinerary that includes no details of what you're interested in doing! Customized Tours that you actually want! As the name suggests, we specialize in offering authentic and customized tour experiences. 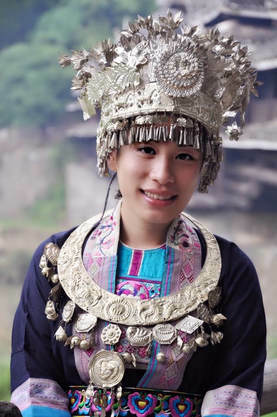 Whether it be a traditional meal in a local family's home to a visit to a local market or other off-the-beaten track experiences, Wendy Wei Tours can provide unique and flexible tours. Whilst we do proudly advertise as offering these types of authentic services, please understand that we also offer and enjoy taking clients to the famous and popular destinations that this incredible region has become famous for. 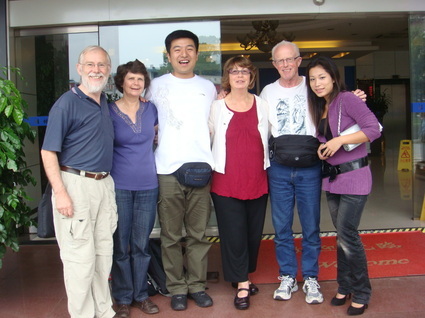 Wendy Wei Tours is a responsible tour operator and we believe in educating prospective clients of all tour options available. By providing a diverse range of choices, we empower our prospective clients to choose a specific interest because ultimately, it's your private tour! Aside from being fully transparent with our proposed tours and what's included, we also strive to provide greater value in the attractions/activities proposed. We don't believe in the common practice of offering minimal activities on each day for extras to only be up-sold later. This is why when you look at your tour itinerary, you will see that each day has a number of different activities to fill in the time and are all fully inclusive -unless requested otherwise. Whilst our tours initially might appear more expensive compared to other operators and guides who usually offer the bare minimum inclusions, worst seats at shows, illegal transportation and usually try to cut corners on all aspects of the tour to offer cheapest pricing whilst maximizing. If comparing tours, remember to look at the different inclusions and exclusions within the tour! A real person behind the company name! As an operator that specializes in offering high-quality, private and personalized tours; and as an owner-operator, I'm your point of contact if required - whether I'm guiding you or whether one of my team members is guiding you. ​Whilst I do run a commercial tour business - my genuine number one goal is to ensure all clients are fully satisfied with the services provided and my company's testimonials reflect these high standards. ​You're not a 'booking reference number' whilst each and every one of our client's are 'VIP clients' regardless of booking type. This type of service is only possible with a smaller agency and in our case, the Wendy Wei Tours name stands behind it. We can help you during your visit! I've already noted this - but to clarify, under no circumstances does myself or any of my colleagues undertake any forced shopping practices, up-selling or other practices. This means no forced stops at 'pearl museums', factories or commission stops, without excuses. ​We take pride in being one of the few local operators that are opposed to these types of activities in all forms of tours. Some agencies state they don't provide shopping tours but will make exceptions when booking 'group tours' shopping stops are part of it or otherwise. Put simply, we do none of this and treat our guests respectfully and how we'd hope to be treated. Are you ready to contact us and find out how we can assist you? If not, keep reading! 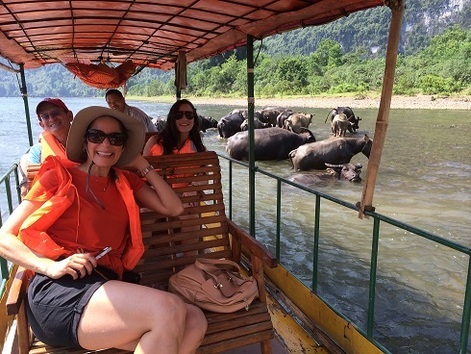 Would you enjoy a Wendy Wei Tours experience? When visiting China you are spoiled for choice in terms of tour options available to you so you really don't need to settle for anything or any agency that doesn't feel right! ​Whether it be an international tour operator outsourcing tours to local agencies, a large national agency with offices in each city/contractors each city or a locally based operator, specializing in one area, you have options are available. The most important thing is determining what best fits your interests and preferences. 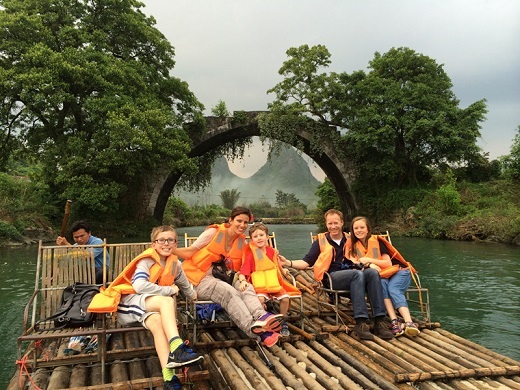 ​Ultimately, we wish all visitors to Guilin have a fantastic experience - whether it be with Wendy Wei Tours or elsewhere as positive experiences are great for everybody involved! 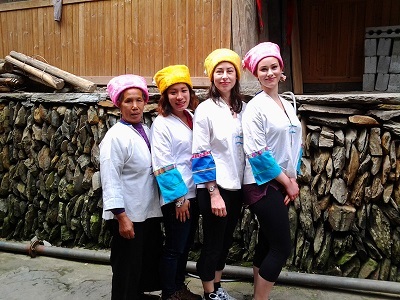 If you're unsure whether a Wendy Wei Tours tour experience suits you, please view our range of Tours, Custom Tours or feel free to contact us for further assistance! Sometimes the little details make a big difference! The Little Details that only a local operator can provide! Wendy Wei Tours understands the requirements of international travelers and strives to continually exceed our clients' expectations. With so many different tour companies and operators available to choose from, we differentiate ourselves through providing extra value. and more..you won't be disappointed! Experienced, passionate and we operate legally! As a team of experienced and passionate operators, we strongly believe in our product and what we offer. But don't just take our word for it - please review our growing list of reviews. Moreover, we've entered into a contractual agreement with a local tour agency in Guilin whereby we can operate as an independent subsidiary. Basically, this means we can legally provide tour services without actually being a 'typical' tour agency. Many tour operators are freelancers or private guides and whilst this is often preferred than tour agencies, please bear in mind that it's illegal. All guides within China need to be from an agency and operate with legally registered transportation for insurance purposes. Wendy Wei Tours offers the best of both worlds.